Want to know the true meaning of a Roman Holiday? 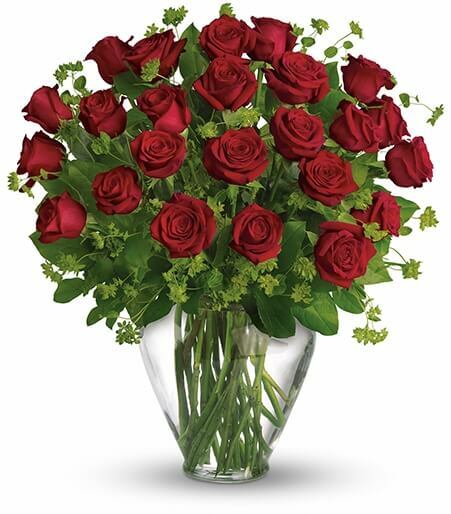 If you ask us, it's really a "romance" holiday where true love blossoms! In this case, it's presented gorgeously. 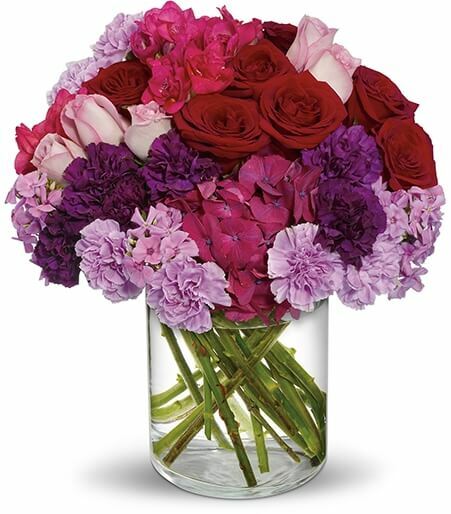 Beautiful dark pink hydrangea, red and lavender roses, carnations in dark purple and lavender, hot pink freesia and lavender phlox are perfectly arranged in a simply lovely cylinder vase.